Ukraine has been demonstrating its desire not to bite the dust while hosting Euro 2012 by burning stray dogs in a mobile incinerator – a move which has outraged animal welfare groups. UEFA’s president Michel Platini was all smiles when he inspected Kiev’s new stadium – the venue for the finals of the Euro 2012 football championship. But a container of a much smaller size has been delighting the authorities in rural Ukraine. Several months ago, local TV in the town of Lisichansk excitedly reported the purchase of a $20,000 mobile incinerator for ‘eliminating biological waste’ – namely the disposal of the carcasses of stray animals, as RT’s Aleksey Yaroshevsky reports. “We put this incinerator on wheels and are now able to cover large areas, including neighboring towns. 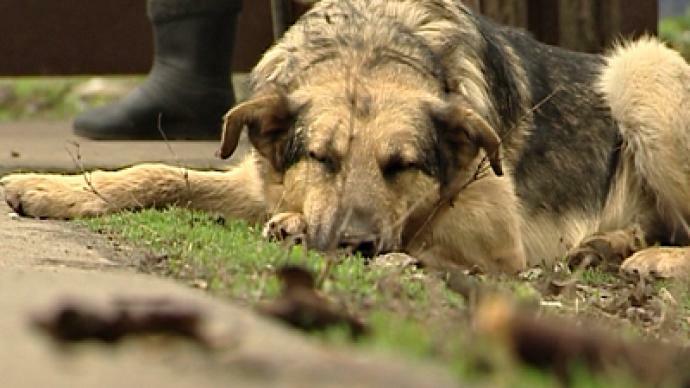 We had many objections, but they are of far less importance than our fight against bites from stray dogs and the spread of infections,” insists Yury Basyuk, a Lisichansk official. Tens of thousands of stray animals roam the streets of Ukraine’s cities. In Lisichansk alone, hundreds of residents are bitten by dogs every year. The town’s authorities planned to first shoot the animals and then destroy their remains in the mobile incinerator. But what followed was a spate of gruesome killings, sparking outrage amongst animal protection groups. “The locals believe that the dogs are still alive. But we don’t have any evidence about what poison is used to kill them, so we cannot say for sure”, claims animal rights activist Oleg Andros. Andros believes incinerating stray animals is not only immoral and outrageous, but is also ineffective. European experience shows sterilizing is a much fruitful method of combating the problem of stray animals in big cities. Public concern over the slaughter of the dogs has been expressed on the Internet. The outcry by animal lovers got a massive response on social networks. An online petition was signed by almost 200,000 people, some of whom suggested Euro 2012 should not be held in a country that is so cruel to its creatures. “The demand to cancel Euro 2012 is not unexpected. But as a rule, letters from citizens don't work. Back in 2010, animal defenders petitioned officials and Mr. Platini, who then asked Deputy Prime Minister Kolesnikov to stop this outrage. It has been a year, and we haven't seen any results so far,” says the animal welfare activist. 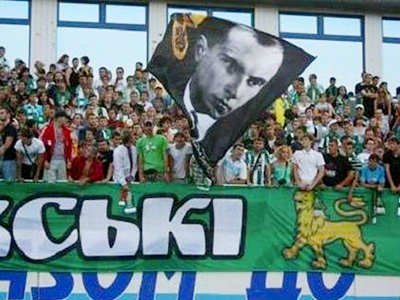 And it has been a sustained campaign aimed at getting the UEFA chief to use his influence to stop the cruelty. Animal rights groups have been staging small but vocal protests against cruelty for three years. But the growing numbers signing the petition could now alarm European football’s governing body. At first, there were strong doubts about Ukraine’s ability to host the championship. Some even suggested it be moved elsewhere. 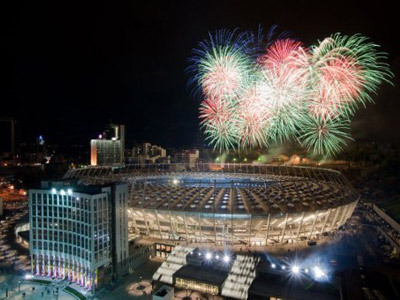 Now, with stadiums and airports rapidly springing up, it seems there is no going back – despite growing calls to deprive Ukraine of the tournament. But animal rights activists say they will continue putting pressure on the authorities, both in Kiev and at UEFA, until their voices are heard.